LCFC legend Steve Walsh – with a pie. I’m as vulnerable to the well-pitched PR invitation as the next completely independent food blogger, and this one had my name on it. 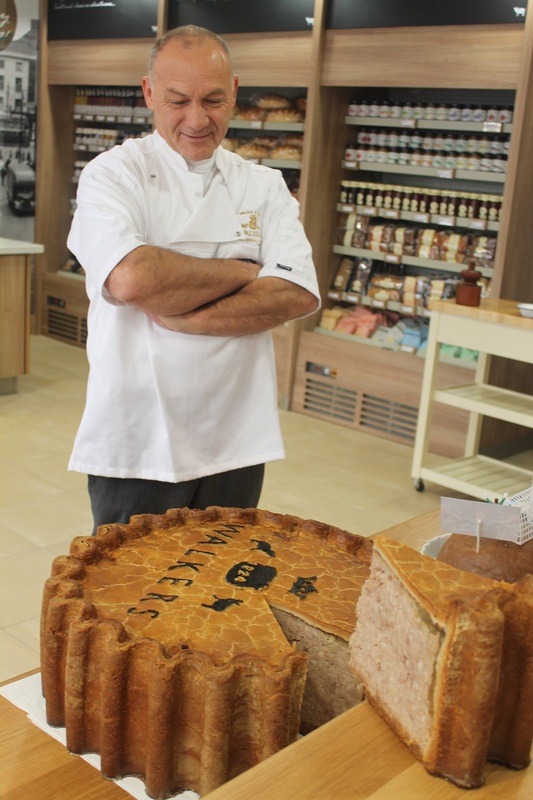 The occasion was the relaunch of Walker’s pork pie shop in Cheapside, Leicester. The shop was originally opened by the company in 1824 – a fact spelt in large letters on the rather smart new frontage. But they withdrew from retail some years back and the shop was run predominantly as a pork butcher’s by Fyfes. When that company went under, Walker’s felt it was time to rescue the building. 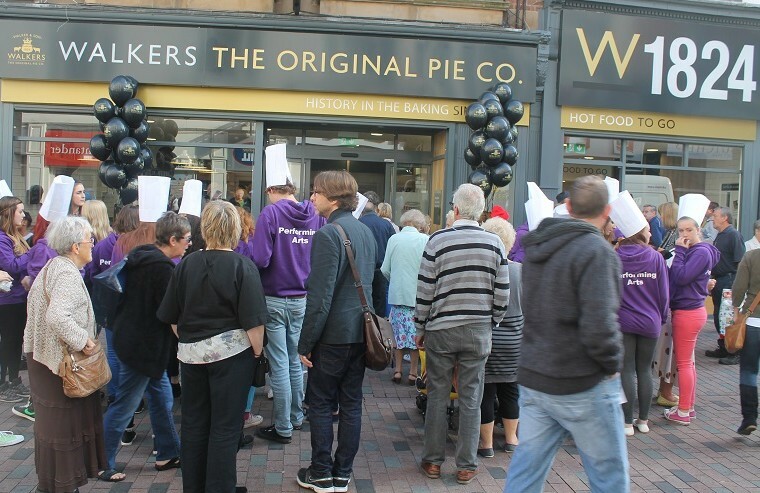 Many generations of Leicester folk will remember queuing up there for pork pies at Christmas time – a tradition re-established last year when Walkers ran a pop-up shop from the premises. 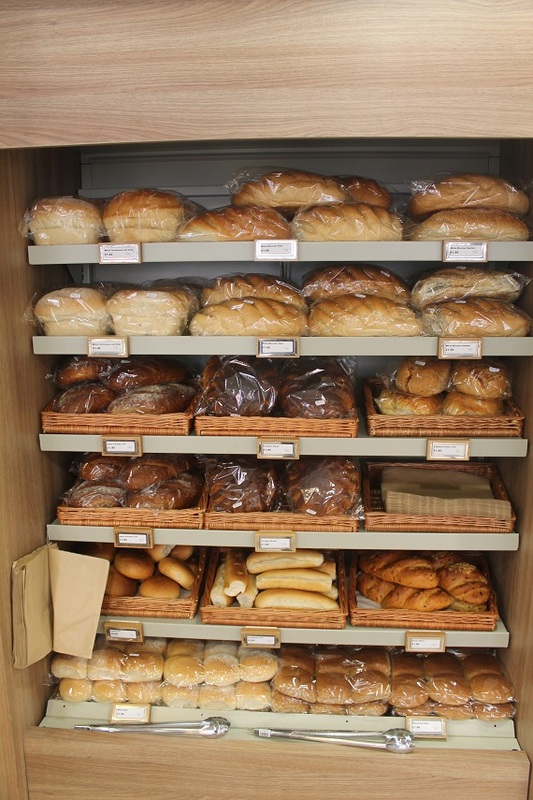 It was so successful Walkers were encouraged to go for a full refurb and it is now a rather handsome food shop focusing on Walkers’ onw pies, sausages, breads and cooked meats, plus deli goods and hot food to take away. It’s all rather pleasing. With the market hall rebuild now progressing apace and Silver Arcade due to reopen next month with a restaurant (The Atrium – no further details as yet), chocolatier (Cocoa Amore) and deli among the early tenants, the area around the Western side of the Market could be developing a head of steam as a food area. Very nice lunch yesterday at the White Swan in Shawell. Just south of Lutterworth, it’s amazing to think this peaceful, pretty little village is hard by the carmaggeddon that is the Catthorpe interchange where the M6 and M1 team up. It’s definitely in the posh country pub category and those who are put off by a pub that has a sign behind the bar telling about its “house champagne” might want to look elsewhere. Less than a year after its major makeover its still very smart and new but its not poncey (and I should say there’s great beer, brewed round the corner by Dow Bridge in Catthorpe, as well champagne). It’s nice, light, airy and most importantly the food is very good and the staff seem to care. I had the no-choice set lunch starting with rib-eye steak with peppercorn sauce with fries and salad. It was great – a lovely steak (from nearby Onley Farm) was well-seasoned, beautifully cooked and the sauce was pitched perfectly to give a little heat but not to deaden the tastebuds. A desert of treacle tart with clotted cream ice-cream and berries was similarly faultless. Chef Rory McCLean has cooked in top kitchens and it seems to show here with all the details being right – the cooking of the steak, the temperature of the salad (not fridge cold), the quality of the pastry, the sweetness of the raspberries. You’ll need to book at weekends but definitely one worth checking out.